leader, 28 years, PhD student at Faculty of Mathematics and Physics, Charles University Prague and Institute of Radio Engineering and Electronics Czech Academy of Science. Huge experiences with ski alpinism in European mountains, in 1999, 2000 and 2001 expeditions into Central Asia (Kyrgyzstan). 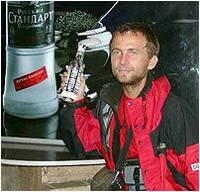 Year 2000 - leader of 15 mountaineers and skiers at Pik Lenina (7134 m) through the classical route via Pik Razdelnaja, one member at the summit, two finished due to weather at 7000 m. Year 2001 - leader of 22 mountaineers and skiers at Pik Lenina, first climb through the left part of the North Face and first Czech downhill on skis, first climb seven people, on the summit five people, three people climb up through the classical route via Pik Razdelnaja. 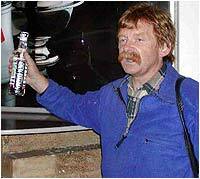 34 years, owner of small sport shop in Vysoke Myto. 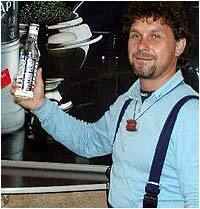 He was the best during the expedition at Pik Lenina in 2001. He also keen on Alps and Slovakian mountains, mostly as a ski-alpinist. 26 years, University teacher at Faculty of Mathematics and Physics, Charles University Prague and Czech Technical University Prague. 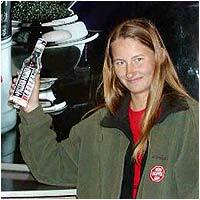 In year 2000, she climbed up at 6400 m during Pik Lenina expedition, and ski down via Pik Razdelnaja. She also passed several extreme downhill in Slovakian High Tatras. 34 years, skialpinist and snowboarder, In 2001, he climbed up via own variation through the North Face of Pik Lenina with snowboard up to 6600 m alone, and he made downhill run. 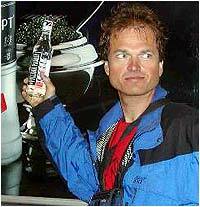 He passed a lot of summer and winter climbs in Alps and High Tatras together with skialpinism and snowboard. 27 years, specialist for venetian blind. 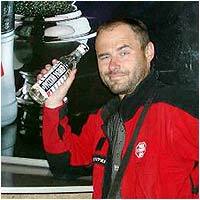 Member of Pik Lenina 2001 expedition, otherwise he paid main attention into summer and winter High Tatras. 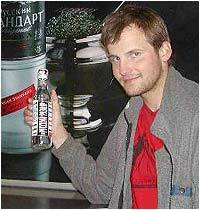 47 years, school Travniky Vsetin. 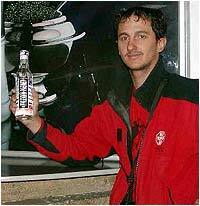 Ski-expert with a lot of extreme downhills in Alps and High Tatras. Member of hard expeditions at Iceland and Maroco. 36 years, experienced climber and skialpinist - Alps and Himalayas.